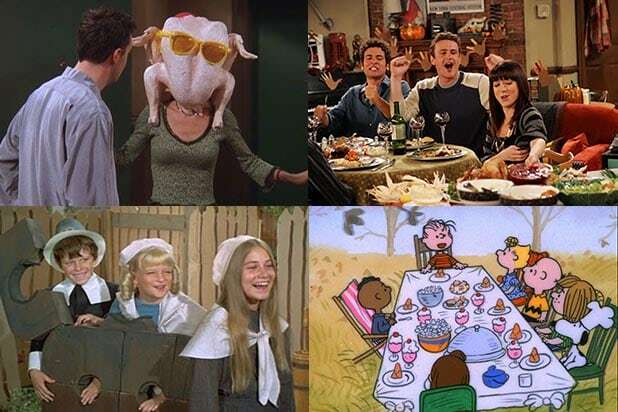 From happy families to dysfunctional kin and everything in between, TV has no shortage of great Thanksgiving-themed episodes worth being thankful for. Here, TheWrap has rounded up 16 of the best for you to watch while digesting a turkey feast or avoiding your family. 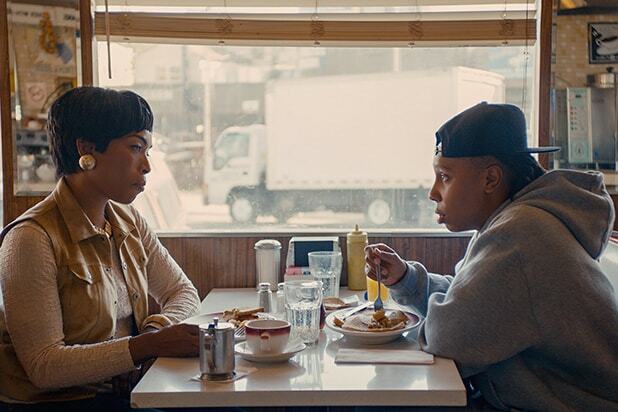 "Master of None" - "Thanksgiving" Dev celebrates Thanksgiving with Denise's family across several years, giving viewers a glimpse into her mother's (Angela Bassett's) slow journey toward accepting her daughter's sexuality. 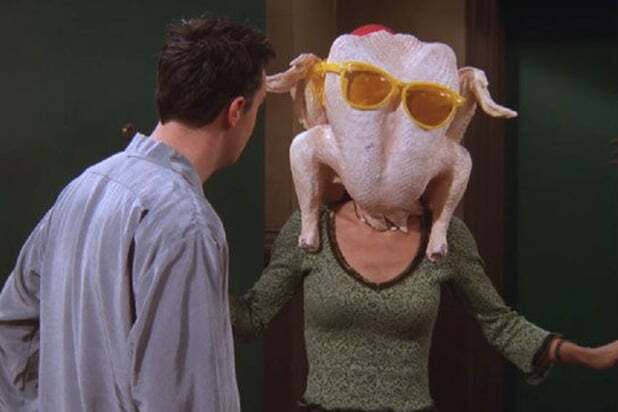 "Friends" - "The One With All the Thanksgivings"The Friends gather in Monica's apartment to reminisce about their worst Thanksgiving memories, including the time Monica accidentally cutting off Chandler's toe and Joey getting his head stuck in a turkey. "Friends" - "The One With the Football"Ross and Monica's sibling rivalry comes out in full force when the Gellers go head-to-head in a touch football game that quickly grows heated. "It's Always Sunny in Philadelphia" - "The Gang Squashes Their Beefs"The "Always Sunny" gang attempts to make amends by meeting up with their many enemies to bury the hatchet so they can finally have an ideal Thanksgiving. "How I Met Your Mother" - "Slapsgiving"Marshall continues one of the show's longest running gags and delivers Barney's third slap, while Ted and Robin struggle to remain friends after their breakup. "Fresh off the Boat" - "Huangsgiving"Jessica gets a 5 a.m. call from her mother informing her that she will be hosting Thanksgiving, but she bites off more than she can chew, and nothing is ready on time. "Gilmore Girls" - "A Deep-Fried Korean Thanksgiving"Lorelai and Rory's boundless appetite is put to the test when they find themselves quadruple booked for Thanksgiving dinner. Their strategy? Skip the rolls. "Bewitched" - "Samantha's Thanksgiving to Remember"Samantha uses her magic to transport herself and her family back through time, but when her husband gets caught using a modern day match, he finds himself on trial for witchcraft. "The Brady Bunch" - "The Un-underground Movie"Greg enlists Alice and his family to star in a movie about the first Thanksgiving for school, but their constant complaining and advice leads to trouble. "A Charlie Brown Thanksgiving"Charlie Brown and Sally are planning to go to their grandparents' house for Thanksgiving, but Peppermint Patty tricks him into having her, Franklin and Marcie over for dinner instead. "The Simpsons" - "Bart vs. Thanksgiving"Bart runs away from home after destroying Lisa's Thanksgiving centerpiece and learns to appreciate his family when he finds himself spending the holiday at a homeless shelter. "Orange Is the New Black" - "F---sgiving"Piper lands herself in solitary confinement with sexual dance moves over Thanksgiving, while Larry makes plans to share his story about an "atypical" long-distance relationship in an NPR interview. "Boy Meets World" - "Turkey Day"After Cory and Shawn win a Thanksgiving dinner in their school's food drive, their families decide to spend the holiday together at Shawn's family's trailer park home. "South Park" - "Black Friday"The second installment in "South Park's" three-part "Game of Thrones" parody, "Black Friday" follows the characters as they plan to take on a Black Friday sale at the mall. "Everybody Loves Raymond" - "No Fat"Realizing that she and Frank need to eat healthier, Marie makes some changes to the menu for Thanksgiving dinner. "Bob's Burgers" - "An Indecent Thanksgiving Proposal"Mr. Fischoeder hires Bob as his cook for Thanksgiving dinner, and the rest of the Belchers to pose as his own family in attempts to impress his date.